Centara Hotels & Resorts, Thailand’s leading hotel group has signed a Hotel Management Agreement for a 180-room property on Ao Nang Beach, Krabi, under its upscale brand Centara. 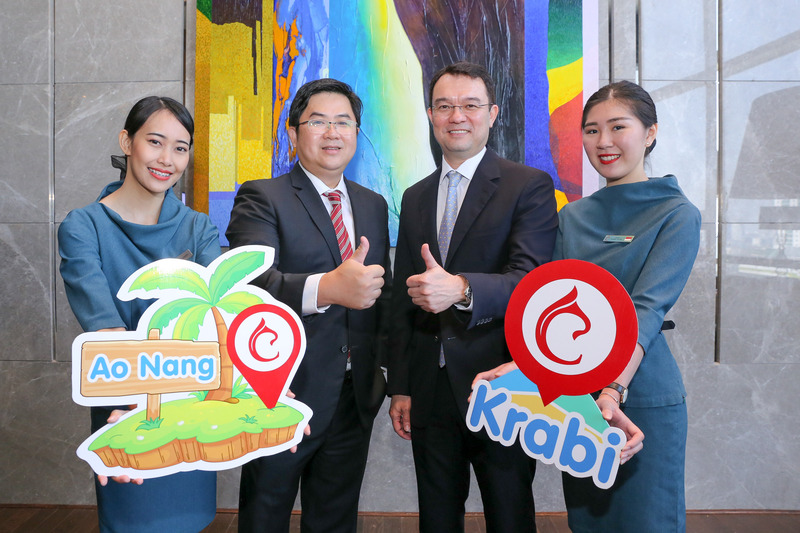 ‘Centara Ao Nang Beach Resort & Spa Krabi’ will be Centara’s fourth property in Krabi and is expected to open in September 2019. Krabi is the perfect holiday destination for those looking for a relaxing area in southern Thailand. The province, located between Phang Nga and Trang, features stunning scenery both inland and at sea. With over 150 islands off its 150km-long coast line (many of them featuring fantastic white-sand beaches and turquoise waters), a jungle-covered interior, towering limestone cliffs, caves, waterfalls and exotic wildlife, Krabi a great selection of natural assets that offer its visitors a wide array of leisure activities for the whole family. Island-hopping, snorkelling, rock climbing, sea kayaking, jungle trekking and scuba diving, are among the most popular occupations that can be enjoyed while on holiday in Krabi. Ao Nang is Krabi’s vibrant tourist centre. It has the relaxed atmosphere of a small town, the beauty of a beach resort, the modern comforts of home, and the friendliness that sets Thailand apart. The property will be set on Ao Nang beach, a popular location for its spectacular scenery of limestone cliffs, white sand, clear water and towering offshore islands.